I’m always on the lookout for new, cute ornaments…that don’t cost a lot. I ran across these plain wooden ornaments at JoAnn Fabrics for around .70 each, and I knew there was something I could with them!These would also be fun to personalize and give away…I’m picturing them attached to a yummy plate of treats. 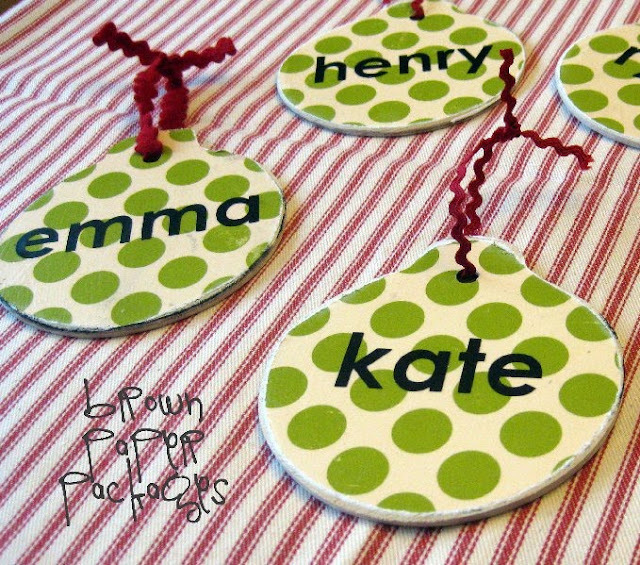 :) How darling would they be as gift tags? 1. Paint your ornaments–both sides, and let dry completely. 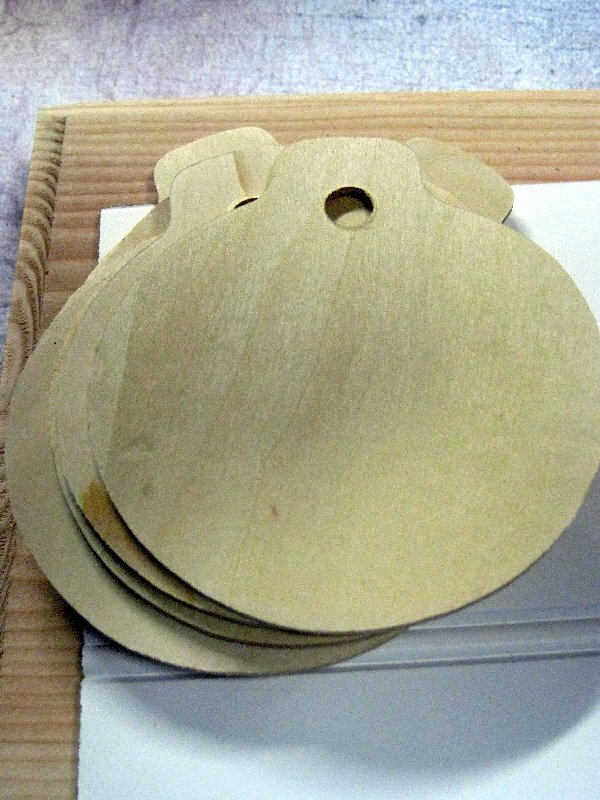 If you can’t find wooden ornaments with the holes, just use a drill to make your own holes. You could also use any shape you like! 2. Trace the ornament onto the back side of your scrapbook paper, then cut out. 3. 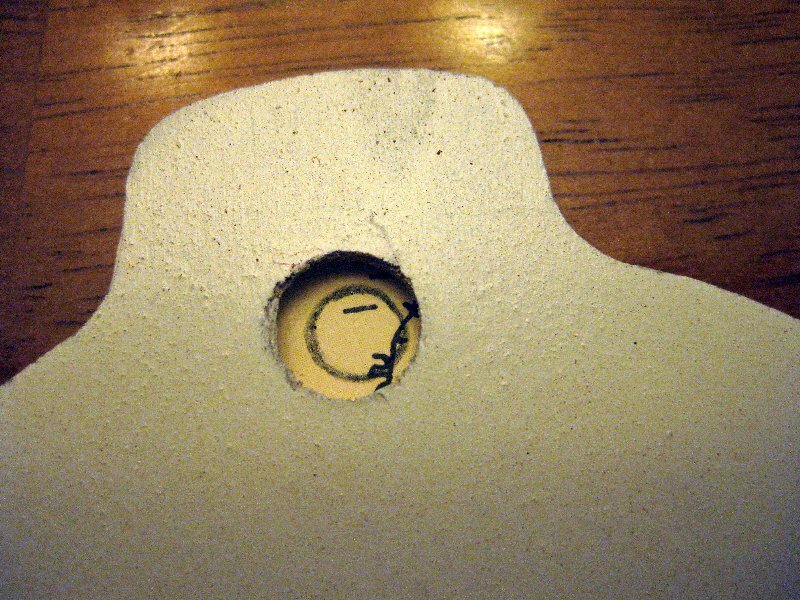 Trace the ornament hole, then use a hole punch or exacto knife to remove the center. 4. 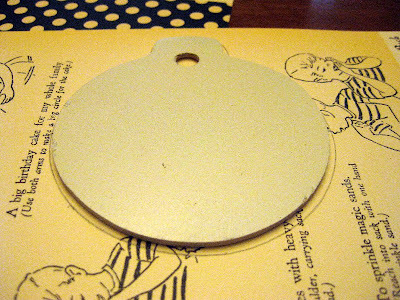 Mod podge the paper onto the front side of your ornament, and let dry completely. 5. Sand the edges of the ornament, removing any excess paper along the edges. 6. 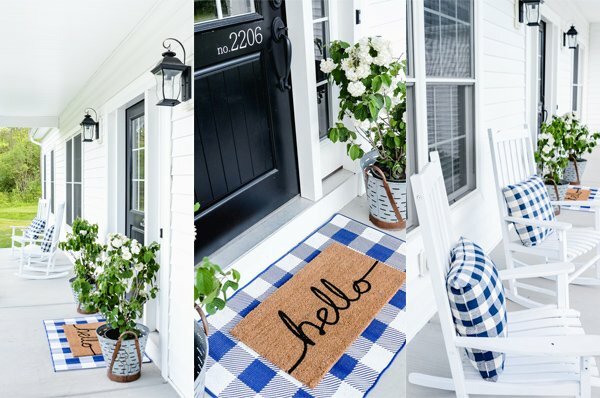 Add your vinyl, or other embellishments. I used black vinyl–century gothic font. 7. Tie on your ribbon! Aren’t they darling? 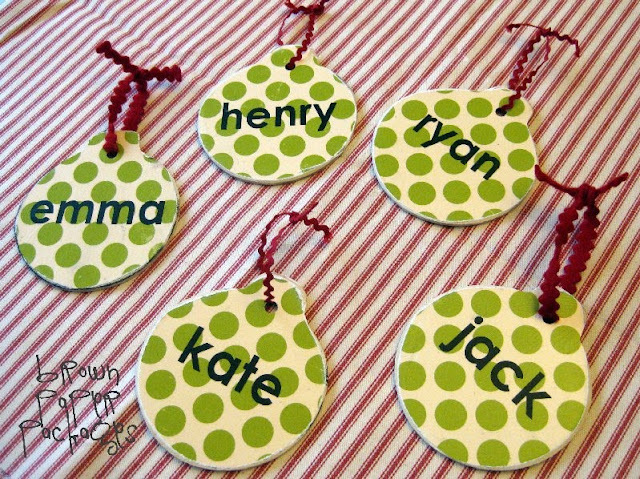 I love looking at them on my tree, and my kids get so excited to see their name. These would be great as gift tags too!! Great idea for my daughter's classmates. I will definitely try this. My dearest friend Kierste, do you have a crop-a-dile? It would be the perfect tool for the hole, and so many other things. Let me know, I feel a Christmas present coming your way! So darn cute! Hello next project! Very cute! I love the paper you used! great idea! what a cute little Christmas gift! So stinking cute! Thanks for sharing the DIY! So cute!! Perfect idea for gift tags for co-workers' gifts. Thanks!! Cute! I might do this craft with my students! These are adorable!!! Where did you find the cute ornaments?